Hello, Gorgeous! 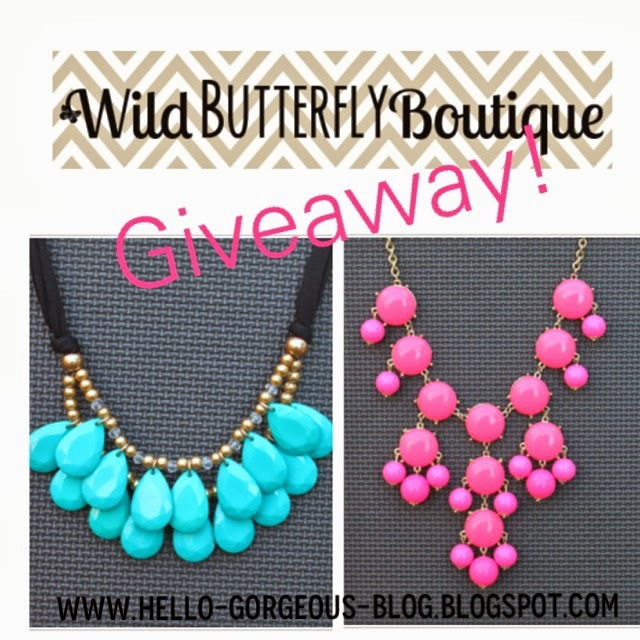 : Wild Butterfly Boutique Giveaway!! Ahh I love the J Crew Inspired Bib Bubble Statement Necklace! I've been wanting a statement necklace like this forever! I love the grey mini bubble necklace, it would go with everything! I love the arrow bracelet! I absolutely LOVE the Anchor ring in gold!!! It goes with EVERYTHING! But I would wear it with an Orange flowing shirt, skinnies, and booties, and of course style it up with a chunky gold necklace & watch!!! I would be able to mimic one of your work outfits with that bubble necklace and suit jacket. I love the turquoise tear drop necklace!! I have been looking to get a yellow bubble necklace. I want to wear it with black wide leg pants, and a polka dot top! i love the new sunburst necklace. it's got the great turquoise color but isn't the typical bubble! Ooohhhh... first inspiring fashion and now a give-away!!!! Be still my heart! I love anything mint/aqua and would love the bubble bib necklace to wear with a cute black or pink sweater!!! Lovelovelove the turquoise bubble necklace! It'd look killer at work with either a tan or pink button-down and pencil skirt or with a black blouse and turquoise dress pants! I love the arrow bracelet or any of the blue/turquoise necklaces! I adore the bow tie necklace!! The fact that it has gold, white AND turquoise, makes it extremely versatile... able to be worn with fall, spring and summer outfits! I love the mint necklace and would wear it with my new colored pants! 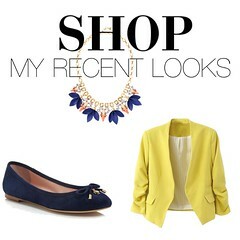 I love the cream bubble statement necklace and would wear it with my new blue cardigan that I purchased a few weeks ago! Would love to get my first bubble necklace! I love the cream bubble curvy necklace. I would wear it with jeans and my olive green blouse. You have post very useful information to get best shoes here .